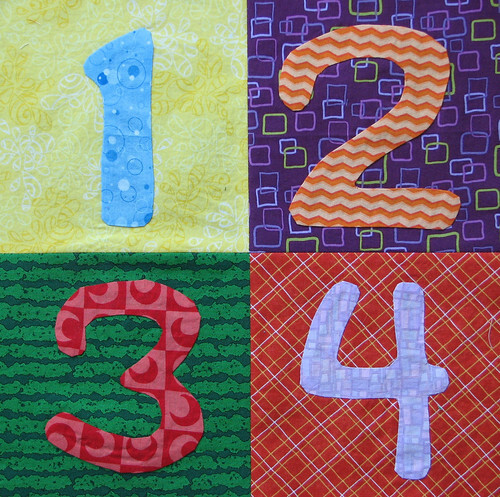 I made the patterns for the numbers and letters totally free-hand, which was scary for me, but I like their wonky look. 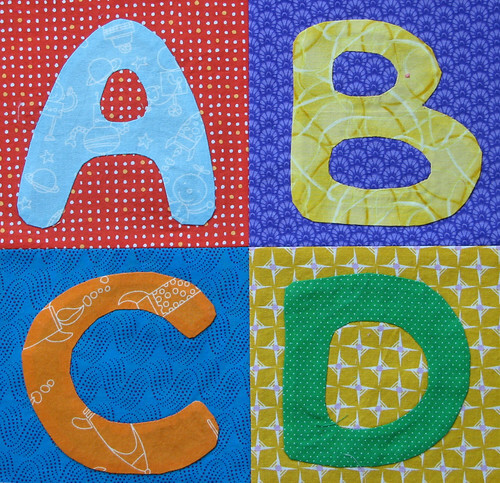 At this late stage of making these blocks I am running out of large pieces of fabric, so I didn’t have many choices for what to use as the backgrounds. I think it works though. This entry was posted in applique, Rainbow Quilt. Bookmark the permalink.